Staying connected to your travelers — EWA Travel, Inc. Cell phones, though they are an instrumental piece of our daily lives, aren’t necessarily the most reliable while one is overseas. Many factors can affect one’s ability to stay in contact with key personnel when on a business trip. Factors include lack of secure Wi-Fi spots and, of course, the high costs for international calls. As much as we hope and pray, emergency situations still happen and losing contact with your traveler(s) during one can be stressful. To ensure a high level of duty of care, it’s of the upmost importance to determine the best mode of communication for your travelers. Thankfully, in this digital age, we have options to which mode of communication would be best for any particular situation. Video chats are a wonderful way to keep in contact with your travelers while their overseas. It allows your employees to be "on-scene" without being in the office. Applications like Skype and Google Hangouts are perfect for this and will only need Wi-Fi to use. Both allow you to set up a video conference with up to 10 people. The only downfall with this is the possible time differences, which can make it difficult to set up a time that works for both of you. In areas, like Haiti, WhatsApp is an useful app to stay in touch. WhatsApp offers both video chat and messaging capabilities, which are free to use, if you have Wi-Fi. The app allows you to set up group conversations, should you need to be in contact with multiple personnel at once. Your travelers can simply download the app to their phone and their ready to go. Employees back in the office are able to visit the desktop site to stay to chat with employees there. Slack is a quick way for you to communicate with employees while they’re on their trip. A beneficial feature is that you are able to share an edit documents. It integrates third party apps into its system, like Google Drive, to remove the need to switch apps or tabs. It’s perfect for the traveler that needs to work on the go. If you want to ensure the security of the data that you and your employees are sending among yourselves, you may want to use Signal. 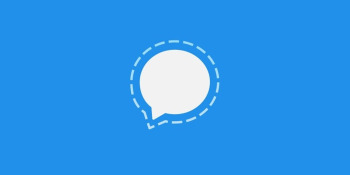 Signal is an encrypted messaging service and maintains a high level of security between your colleagues. Your company can use it both through your mobile devices or through the desktop web page. For those trips to locations without secure Wi-Fi service, it may be worthwhile to invest in your own Wi-Fi. A portable Wi-Fi device is exactly what it sounds like. It allows your travelers to have a secure connection that they are able to take with them anywhere. Most of which can connect at least 10 devices. It’s a good option for trips to remote locations or businesses that require maximum security.